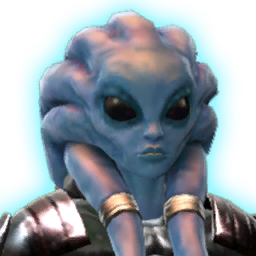 You have been contacted by Veeroa Denz to investigate the Shield Bunker on Nar Shaddaa. You have destroyed the shield generator with the help of Veeroa Denz. The Star Fortress above Nar Shaddaa is now susceptible to attack. Veeroa will join your alliance should you destroy it. You have destroyed the Star Fortress above Nar Shaddaa, ridding Zakuul's presence from the planet. Veeroa Denz has joined your alliance.